Going smoked is the best way to prepare beer brats! 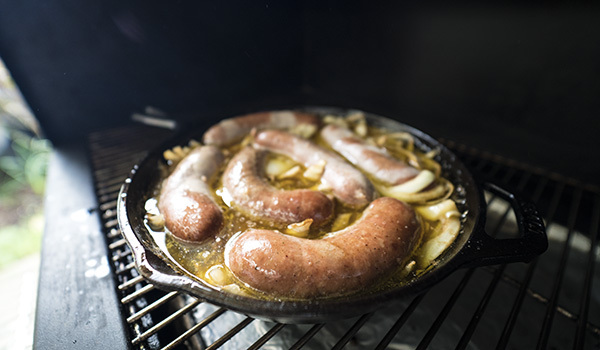 A few ingredients, a few beers, and a few hours will make the best brats you’ve ever tasted. We enjoy our brats with Amber ales best. -Preheat the grill to 121°C(250°F). 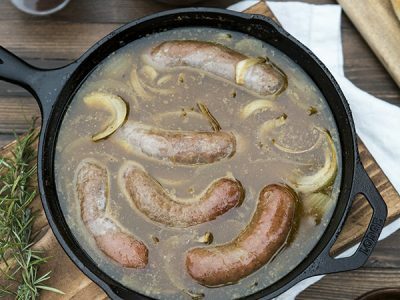 -In a large cast iron pan, add in thick onion slices, brown sugar, butter, and 6-8 German bratwurst sausages evenly spread out. -Pour a 650ml Amber Ale into the cast iron pan to fill it up around 80% of the way. You want it to cover most of the sausages. -Place the pan into your smoker at 121°C(250°F) for approximately 3 hours, stirring occasionally. 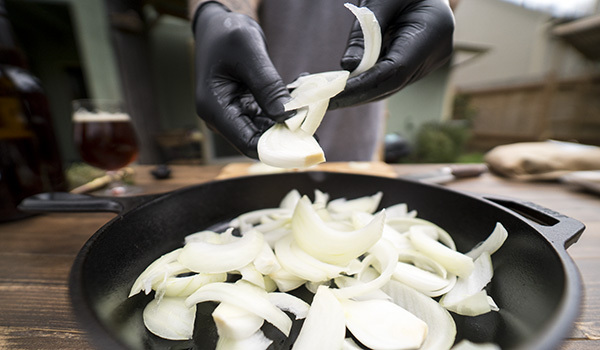 -Once finished, we prefer it on a bun with added sauerkraut, beer battered onions, and bit of spicy mustard on top.